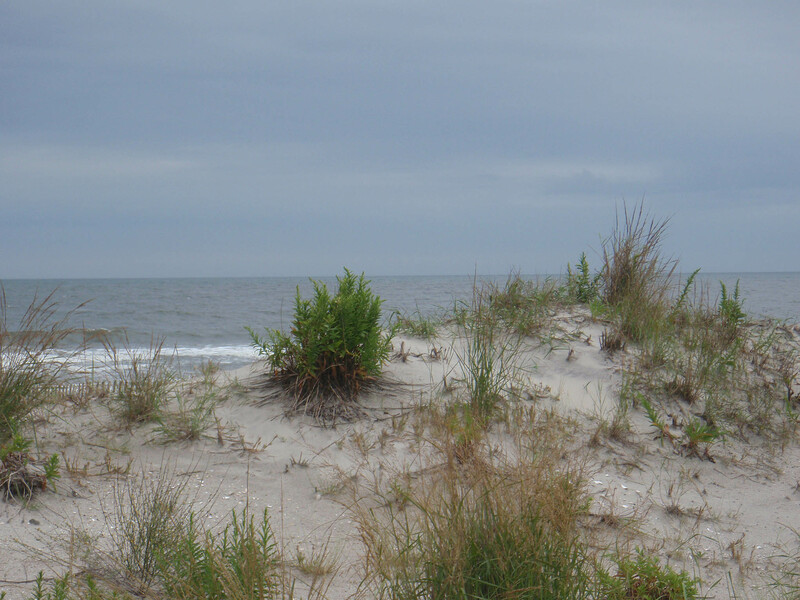 Unlike California, New Jersey beaches, or “the shore” as it’s called, have a season. 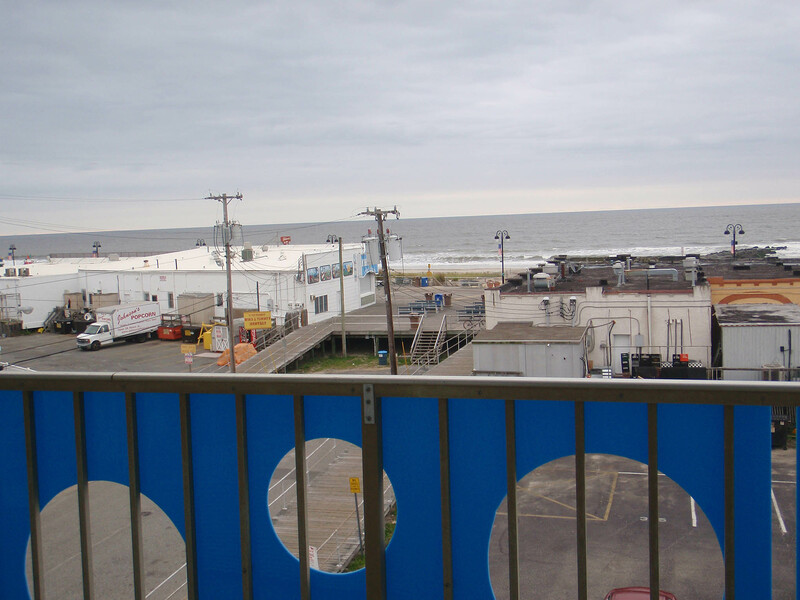 If you go to a beach town in the off season, the shops next to the ocean, the ones on the boardwalk if your beach town has one, will usually be closed. 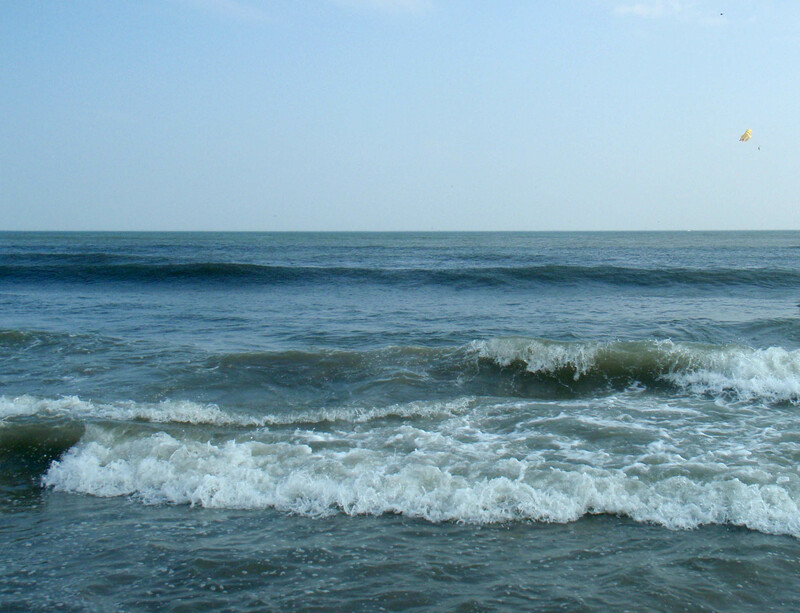 In the “season”, July and August mostly, also June, the weather is good, the ocean breezes provide some coolness, everything is open but it is very crowded. 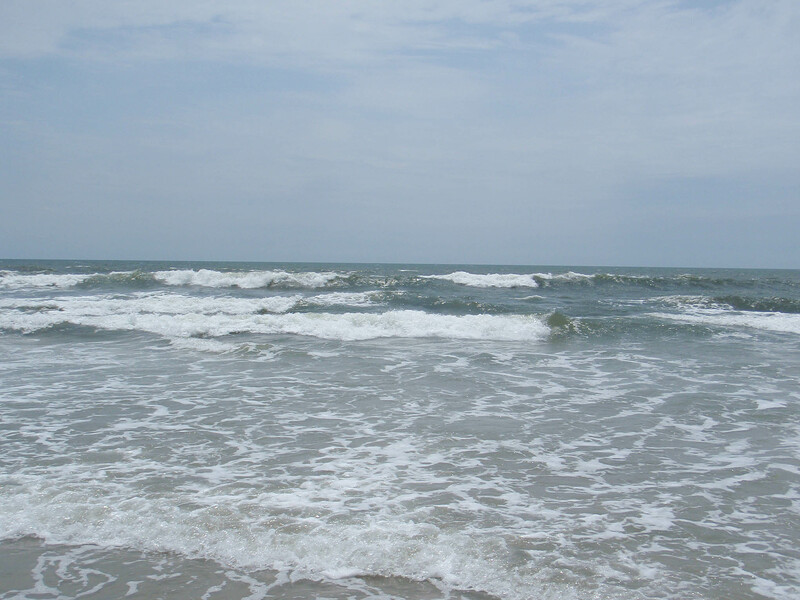 I loved going to the ocean, as I called it in California, in fall, winter and spring. It was beautiful. 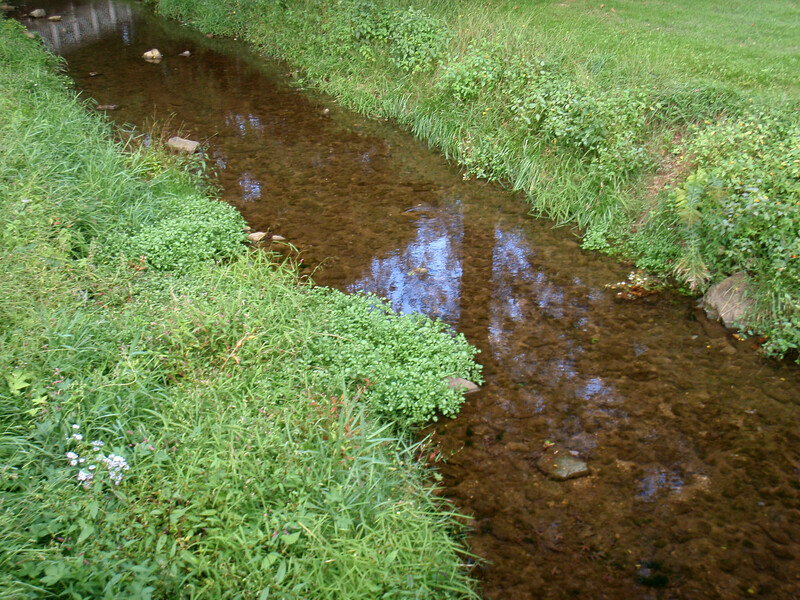 The seasonal rains didn’t happen every day, and they turned the dry landscape green. The weather was mild. The end of February and March were wonderful times to go. I didn’t go much in the summer – I spent the summer swimming in my pool. New Jersey is different. Winter means snow, cold, ice, and bad weather for travel. And many hotels are seasonal, open from the end of April to the first week in October. So “shoulder season” is the time to go. 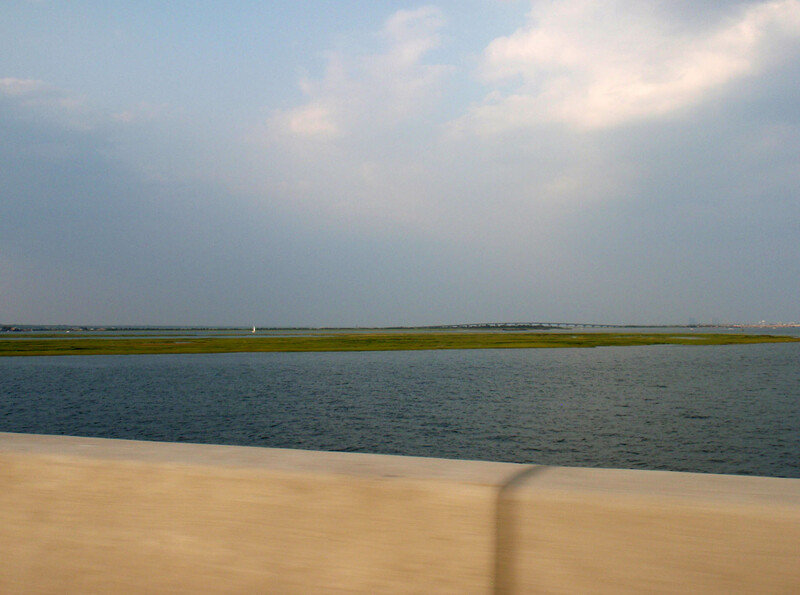 My sister and I stayed in Ocean City, New Jersey, in June and September. June was a little crowded, but not too much, and everything was open. September was not crowded at all. 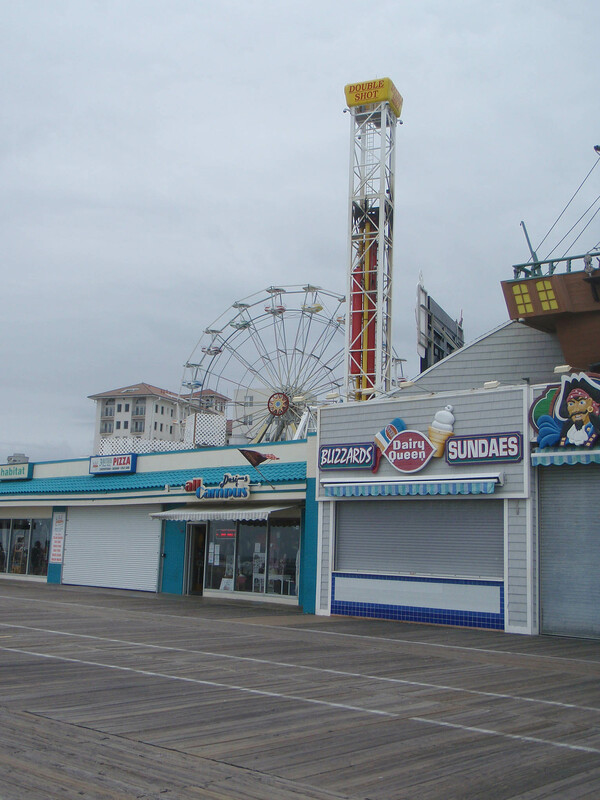 Some places along the ocean (the boardwalk) were closed in September, though they were probably still open on the weekends. Both times we went were magical. I had a wonderful time. 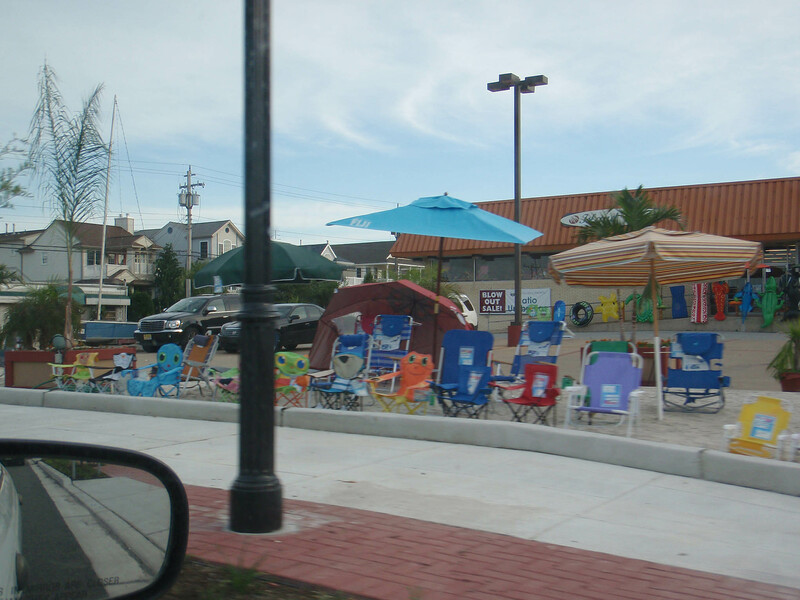 This was the place where my sister got our wonderful beach chairs. The chairs she got have a canopy you can attach to the back of the chair — you can flip it back when you don’t need it. You don’t have to mess with a sun umbrella. 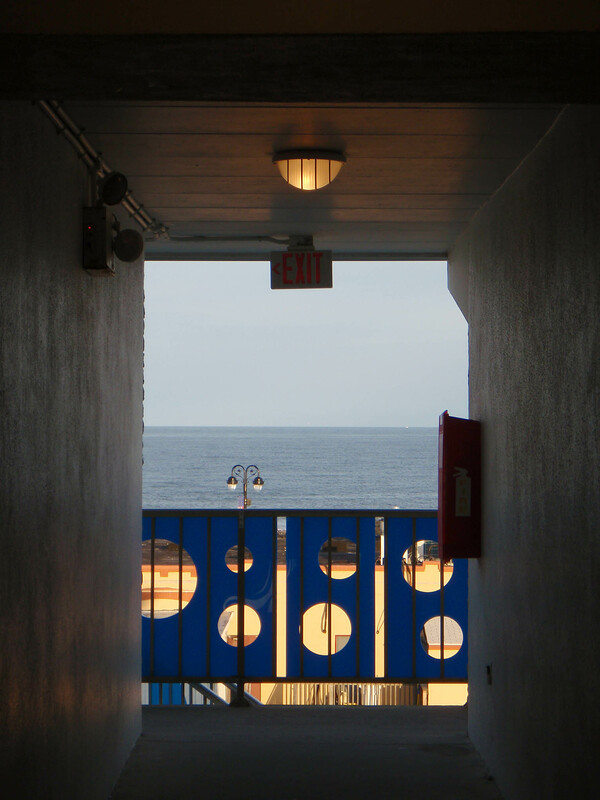 We stayed at the Ocean 7 Hotel. Wonderful, 60’s pop retro charm, with contemporary comfort. Our room had a little kitchen. We were very close to the beach. 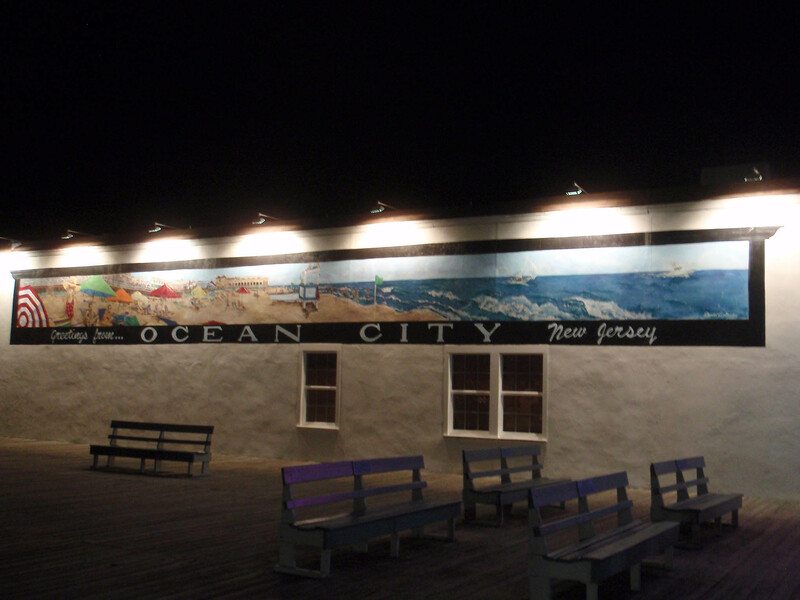 Ocean City (New Jersey) dates from the 1880s. 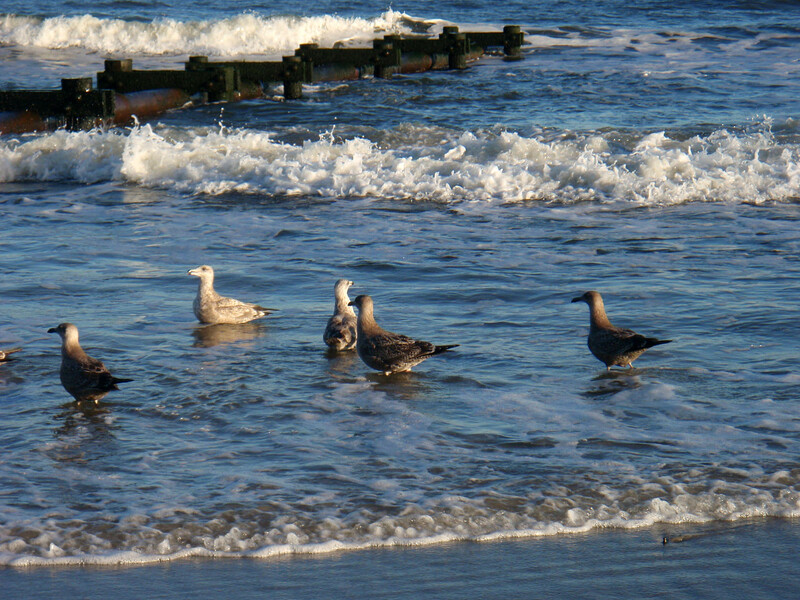 (http://en.wikipedia.org/wiki/Ocean_City,_New_Jersey) It has a famous boardwalk, “a wooden walkway for pedestrians, often found along beaches” (http://en.wikipedia.org/wiki/Boardwalk). 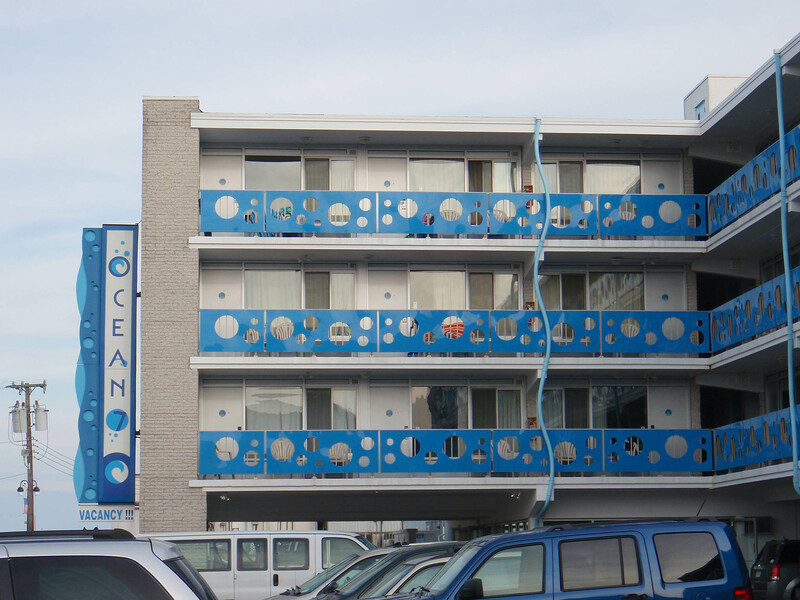 Ocean City is what is called a “family oriented” place. 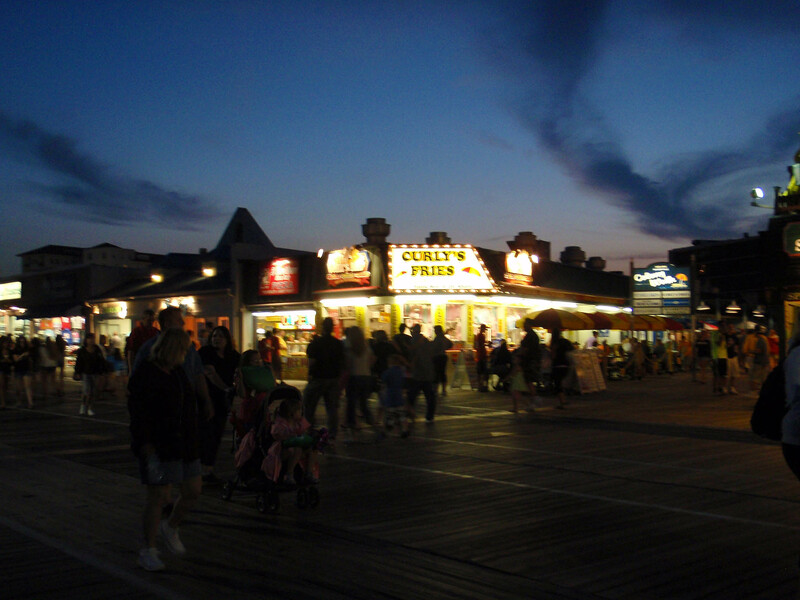 Along the boardwalk there are rides for children, a ferris wheel, miniature golf, and shops with beachy type junk food – french fries, funnel cakes, frozen custard. You can also eat pretty well. It’s a “dry town”; the place does not sell alcohol, though you can certainly drink in your room. I have mixed feelings about this. 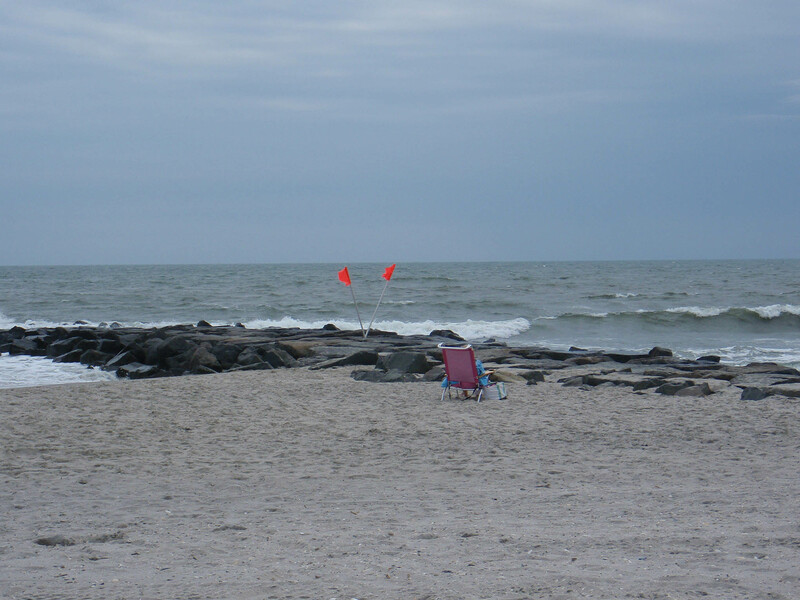 I like to have a glass of wine with dinner, but it is wonderful to not run into drunks on the boardwalk or the beach. 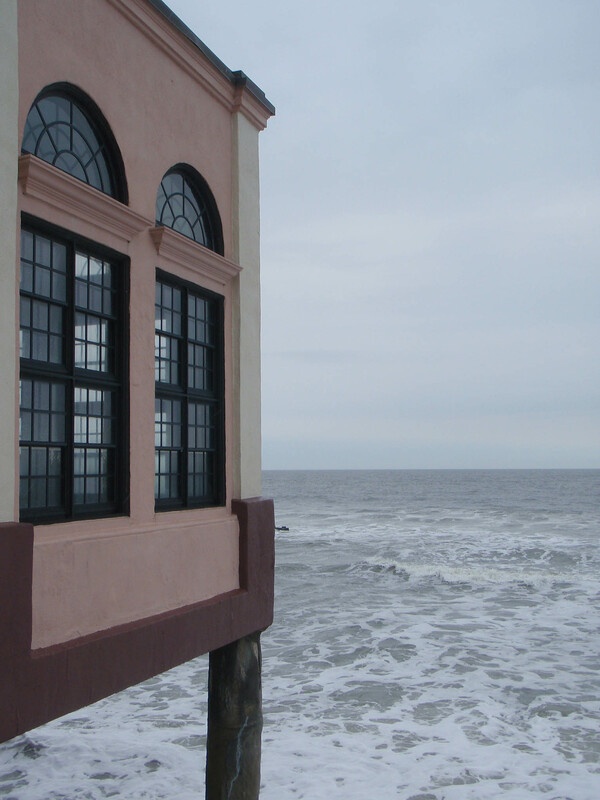 There’s a lot of drinking in New Jersey beach towns. 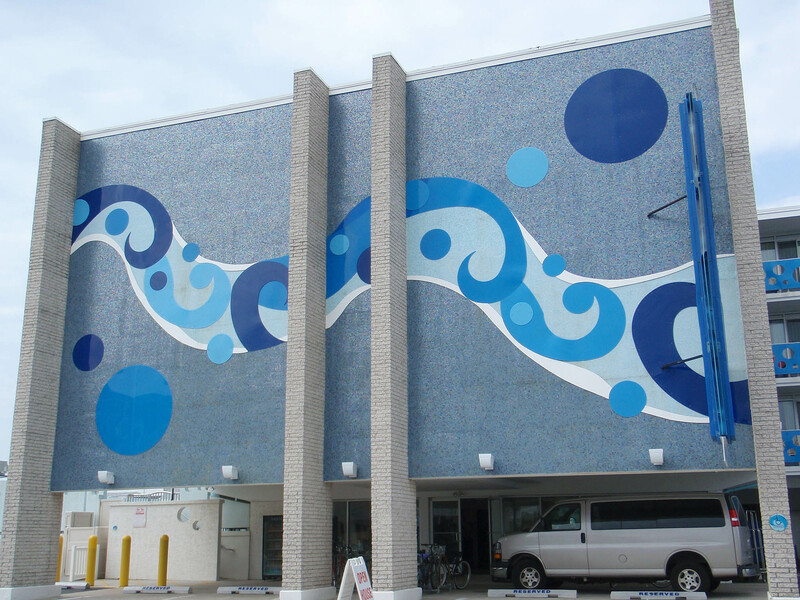 Ocean City has shops, plenty of them, and if you look carefully, you can find good things to buy, particularly during the September sales. The place is full of retro charm. 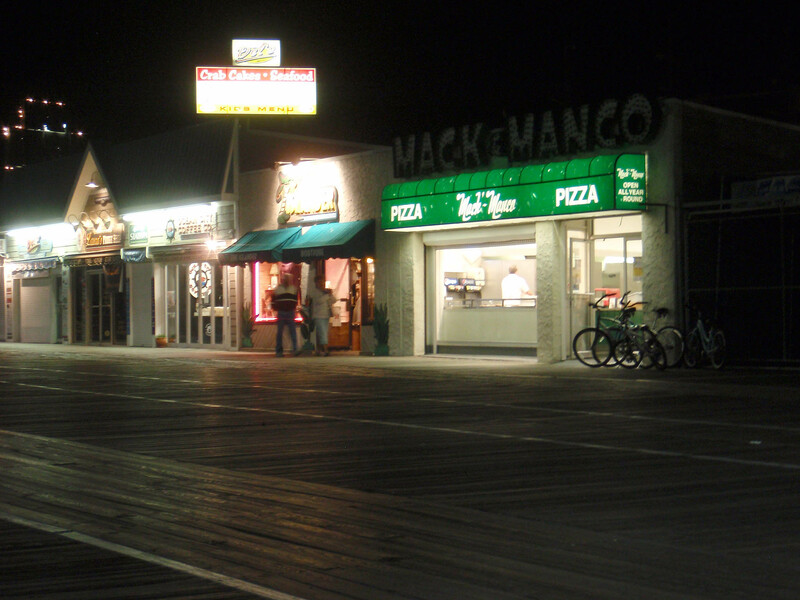 In September we had pizza at Mack and Manco Pizza – wonderful thin crust pizza. The place felt regional, local, in a good way, something you don’t always experience in a beach town. And they don’t close in the off season – they are always open. 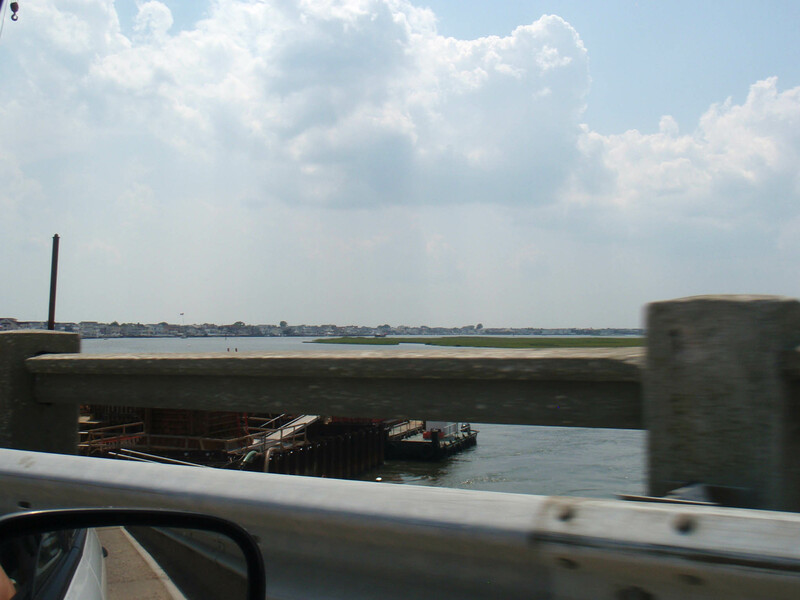 Leaving Ocean City, going back over the causeway. September 2011. I only went to the ocean (or the shore, as one says here) one time this year. 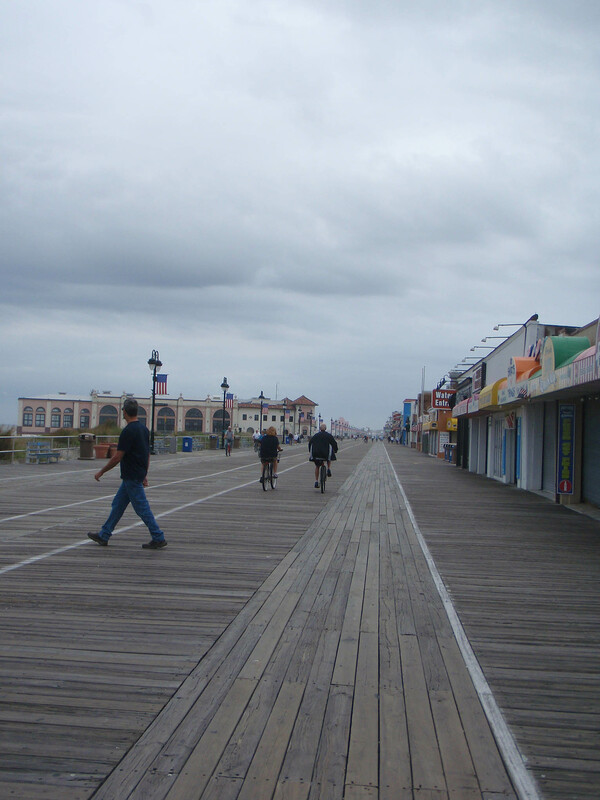 In August I went with a family member to Ocean City, New Jersey, for the day, to go to the Boardwalk Art Show. 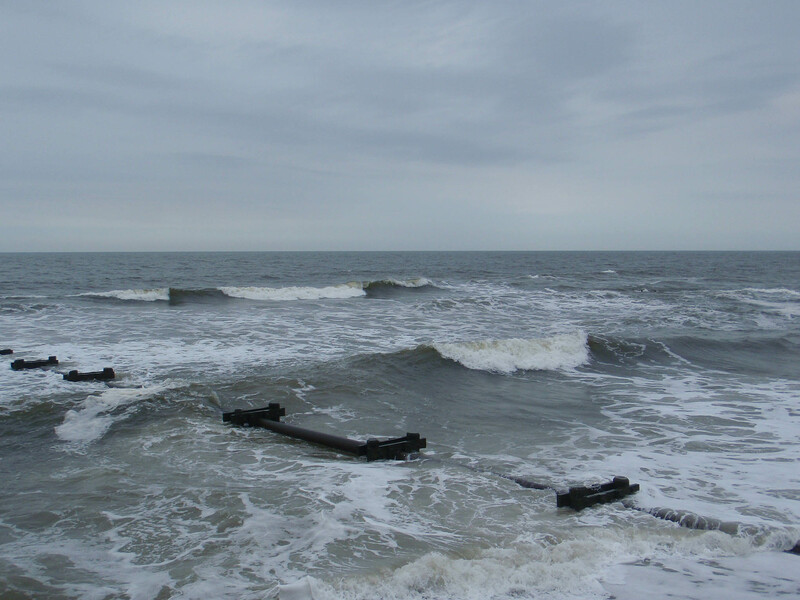 Ordinarily, even during the height of summer, Ocean City is not that hot at the water’s edge. The breeze from the ocean cools you off. 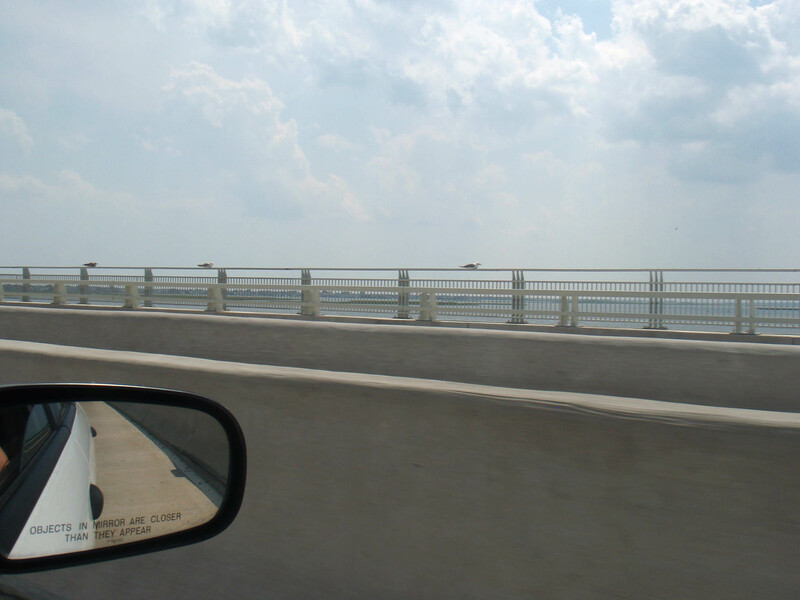 However, this was a hot muggy day, with the breeze blowing the wrong way, towards the ocean. Still, the sun was shining, eating at Hulu’s was great (http://www.hulasauces.com), the ocean was beautiful as always, and it was a lovely drive. I bought a nice iconic photo of the beach. 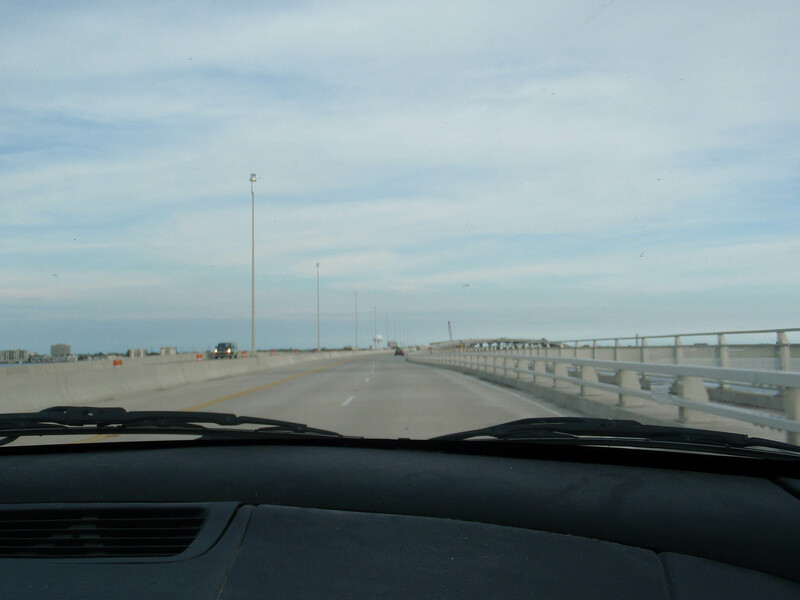 And I wasn’t driving – I enjoyed being a passenger on this trip. Look closely. There is a bird resting on the railing. 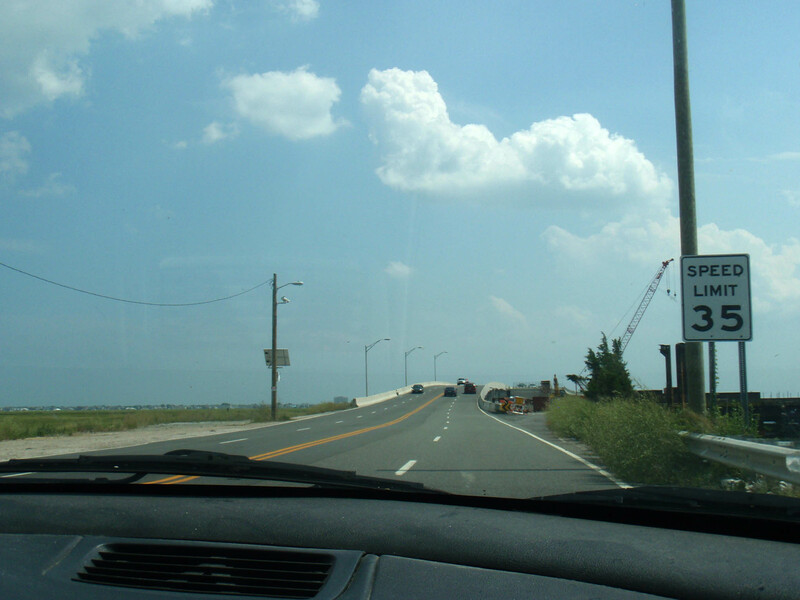 Bridge to Ocean City. August 2010. 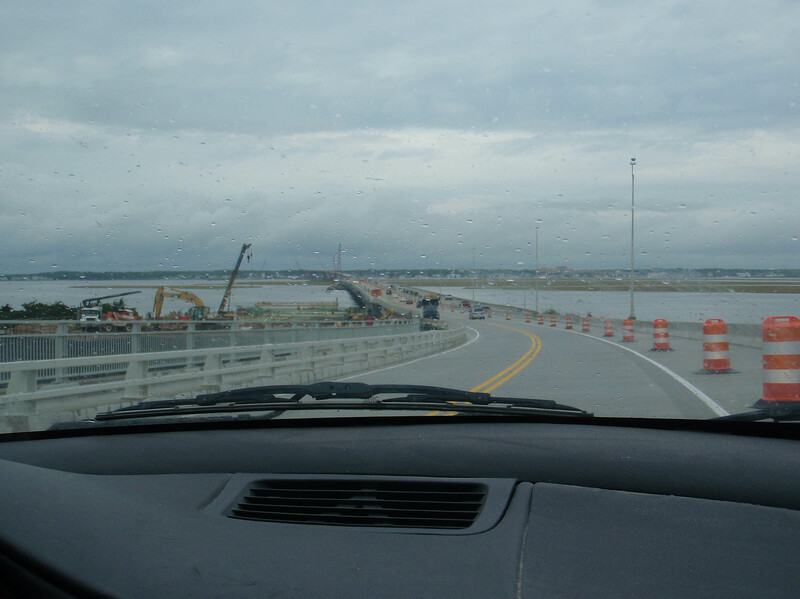 Continuing on the bridge. 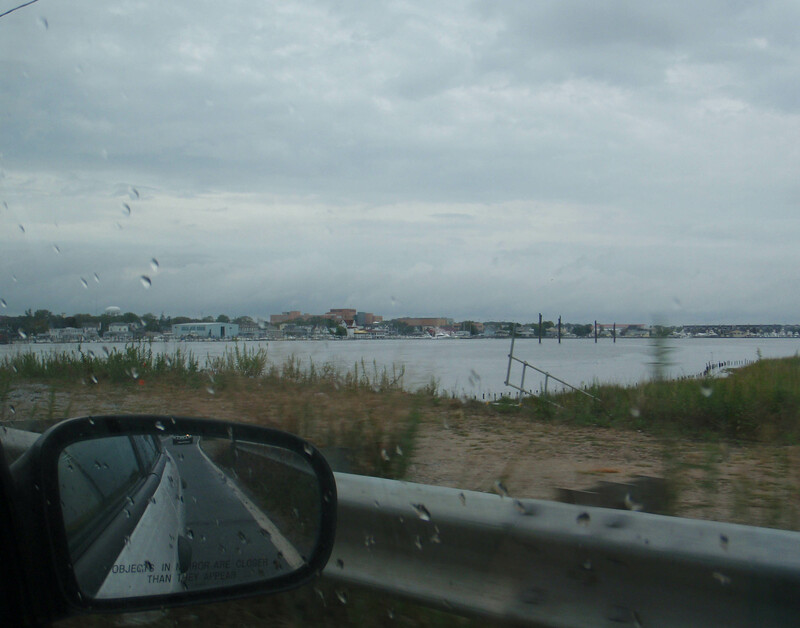 View of Great Egg Harbor Bay. 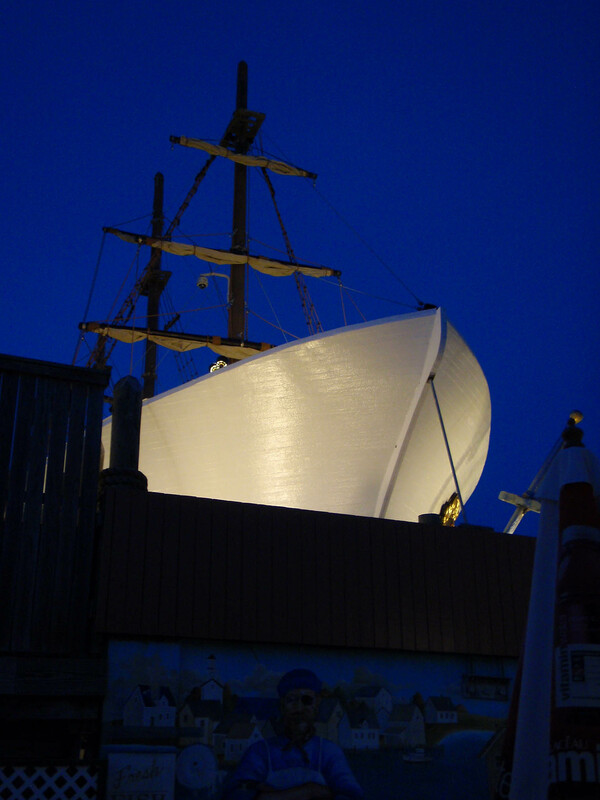 August 2010. 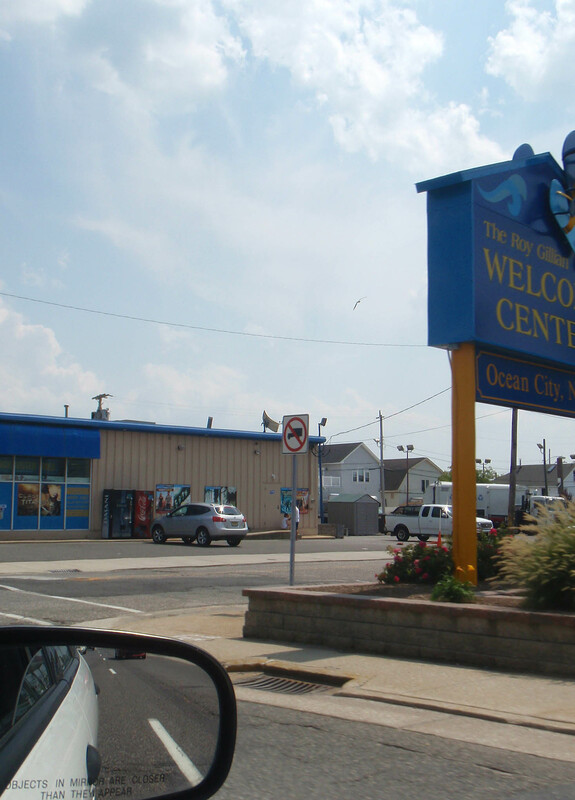 Welcome to Ocean City. August 2010. The ocean, beautiful as always. Ocean City. August 2010. 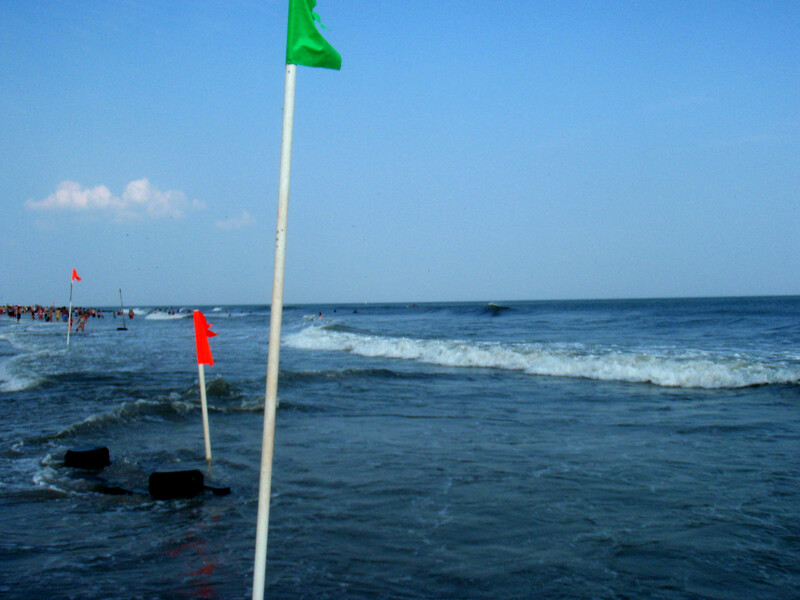 Flags designating swimming areas. Ocean City. August 2010. 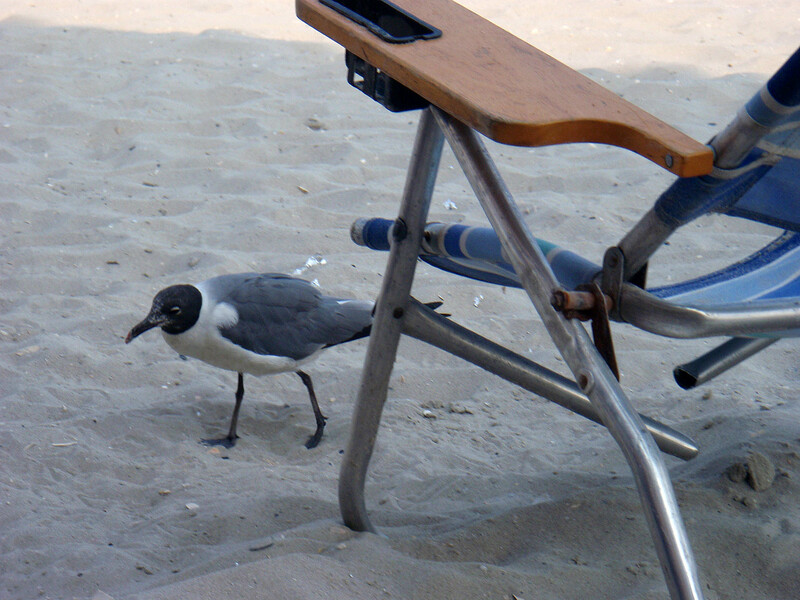 Seagull on the prowl. Ocean City. August 2010. 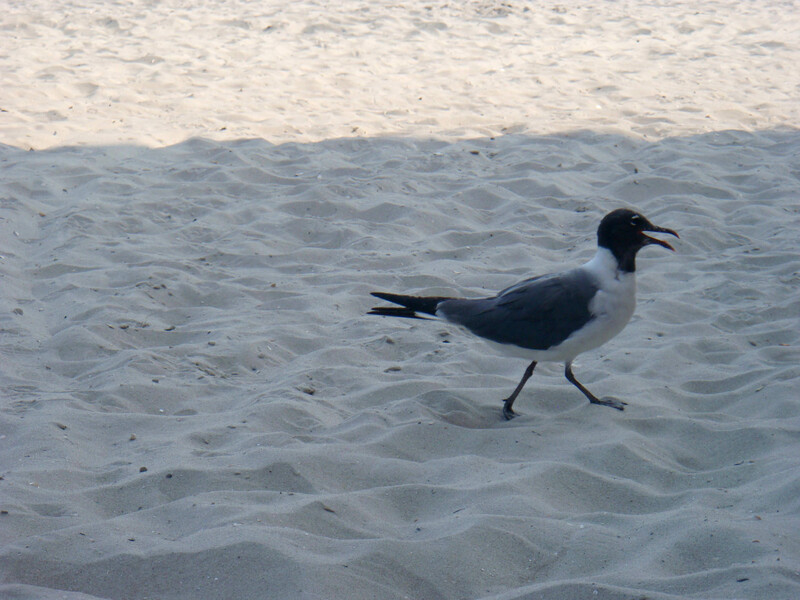 This seagull has places he needs to be! Ocean City. August 2010. Going home. 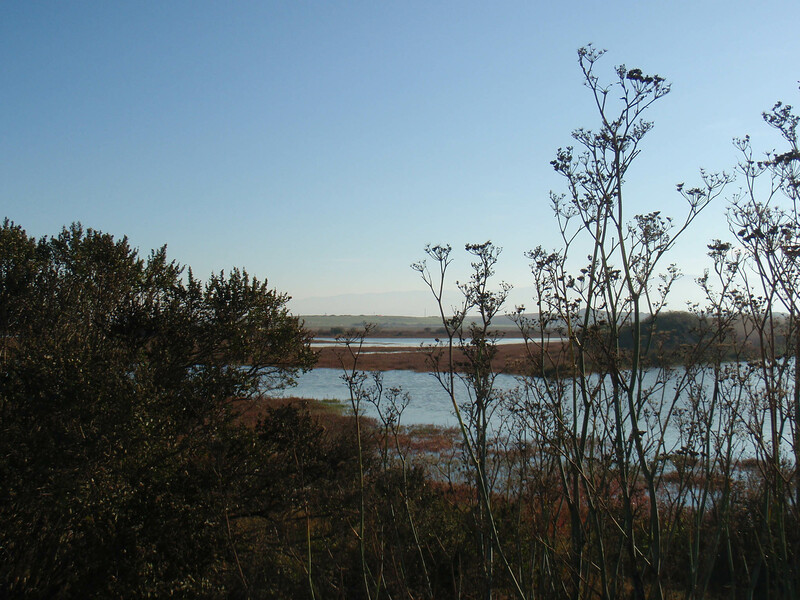 View of the islands of Great Egg Harbor Bay. August 2010. 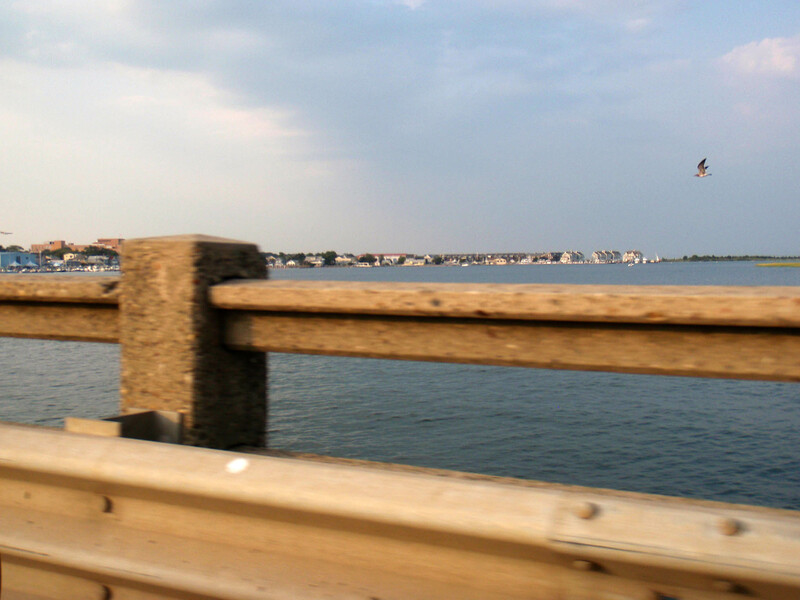 On the bridge. 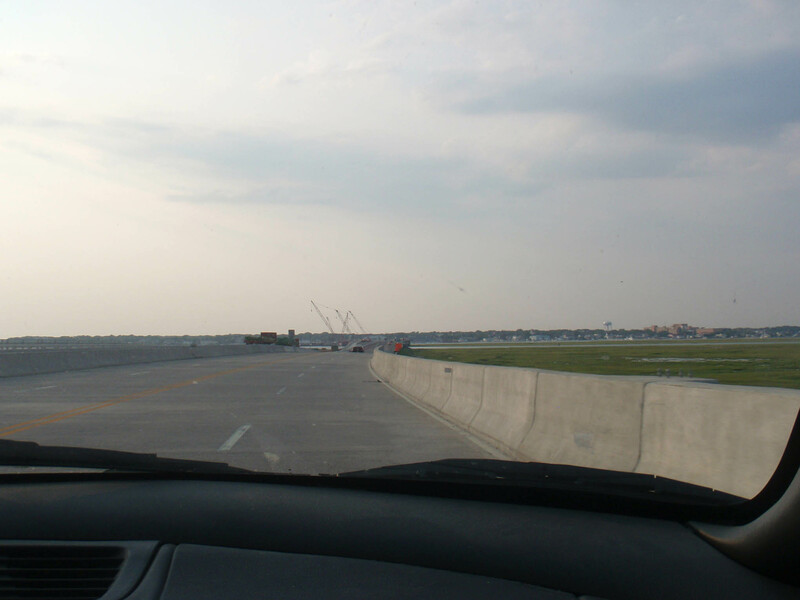 I see construction in the distance. August 2010. On the bridge. 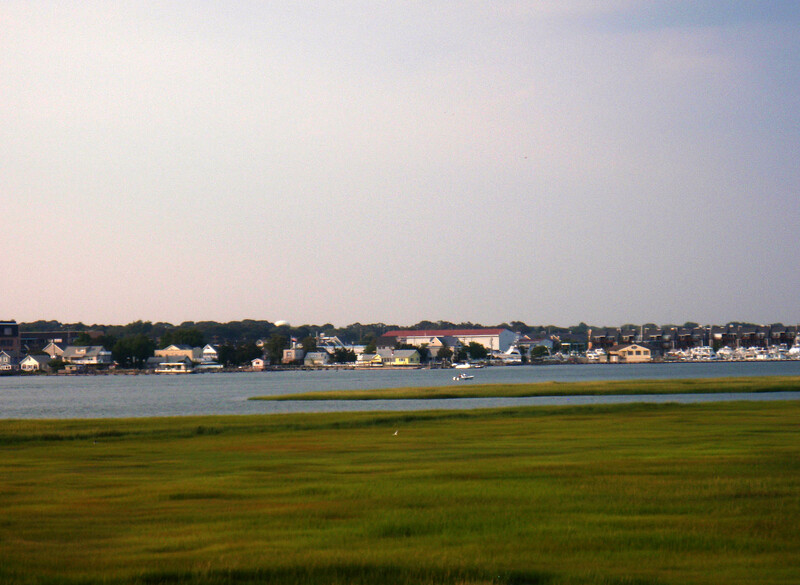 View of Sumers Point. August 2010. Near the end of the bridge. 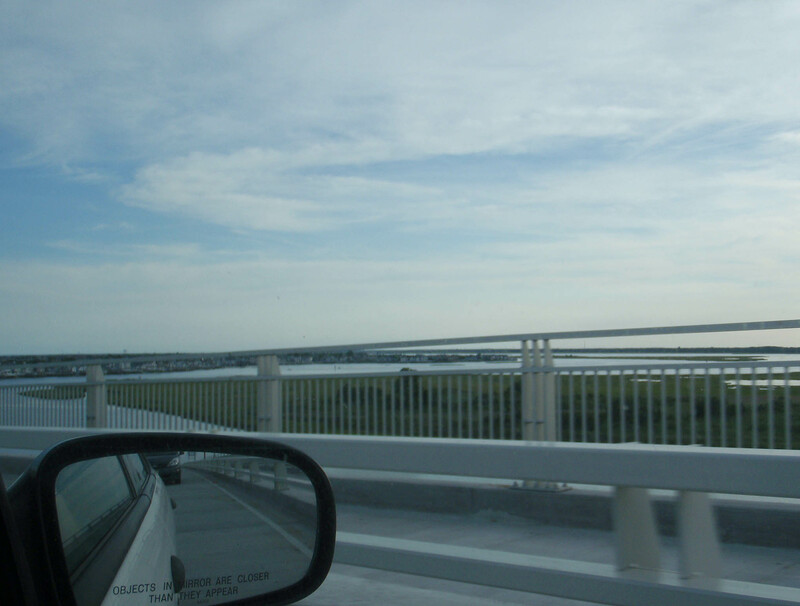 Goodbye Ocean City. August 2010.